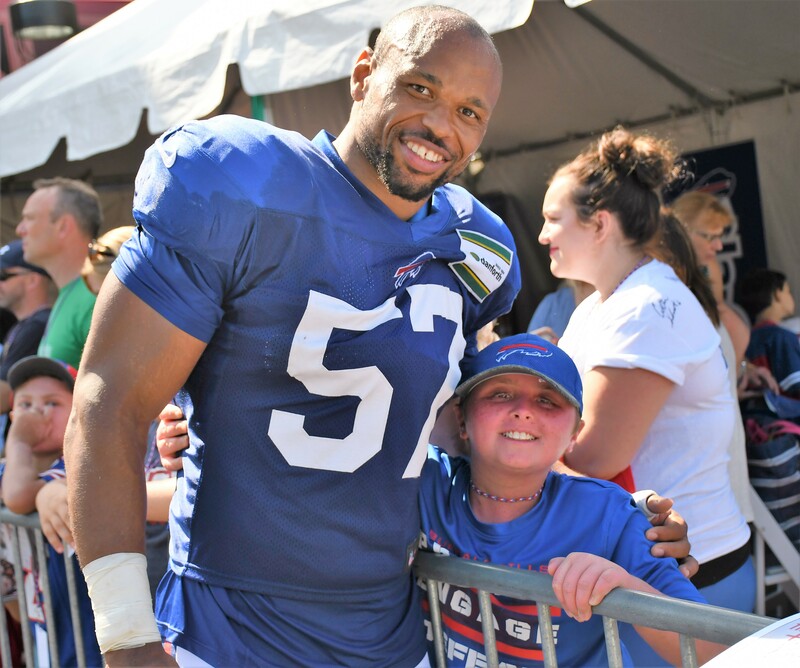 An active member in the Western New York community, Bills veteran linebacker Lorenzo Alexander and his ACES Foundation will be hosting Buffalo’s Bowling Benefit on Saturday, June 9 at 12 p.m. 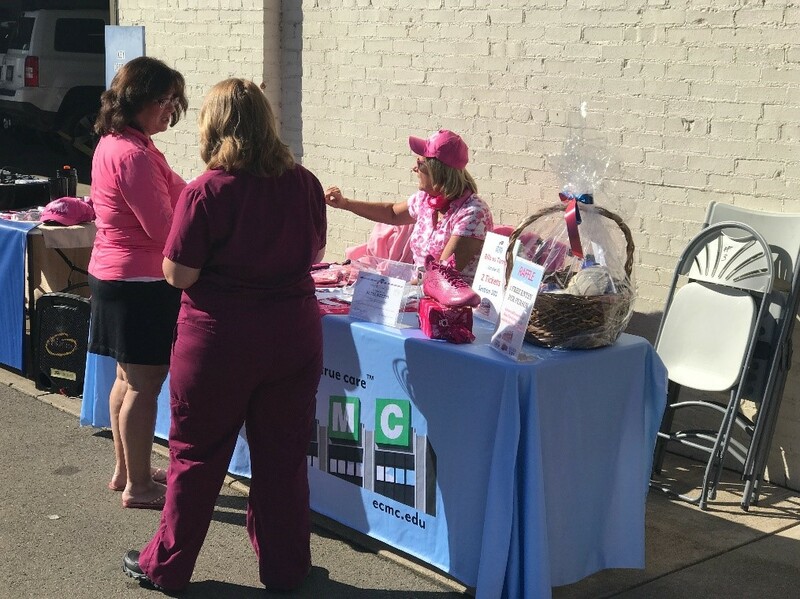 Proceeds from the event, which will take place at Strikers Lanes in West Seneca, New York, will benefit the ACES ACCESS initiative – a program focused on collaboration and relationship building with the South Park High School Football team and The Belle Center. 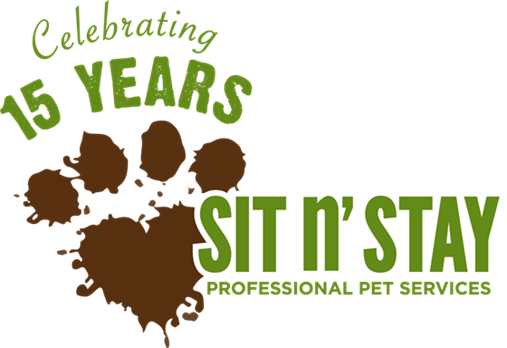 For more information on how you can register to participate, please visit here. 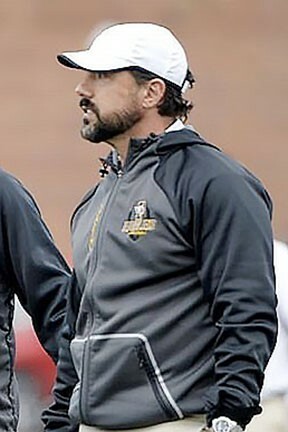 During Buffalo’s Week 13 matchup against the New England Patriots, the Bills recognized the Matt Urban Hope Center as the One Buffalo Organization of the Game. In honor of the organization’s contributions and commitment to enriching our community, Bills quarterback Tyrod Taylor presented the group with a commemorative game ball. Additionally, the Matt Urban Hope Center will receive a donation. With input from the players, the Buffalo Bills will continue to celebrate a different local organization at each home game this season. The Buffalo Region Coach of the Week winner for Week 10 of the 2017 season is Mike Vastola, head coach of West Seneca West. 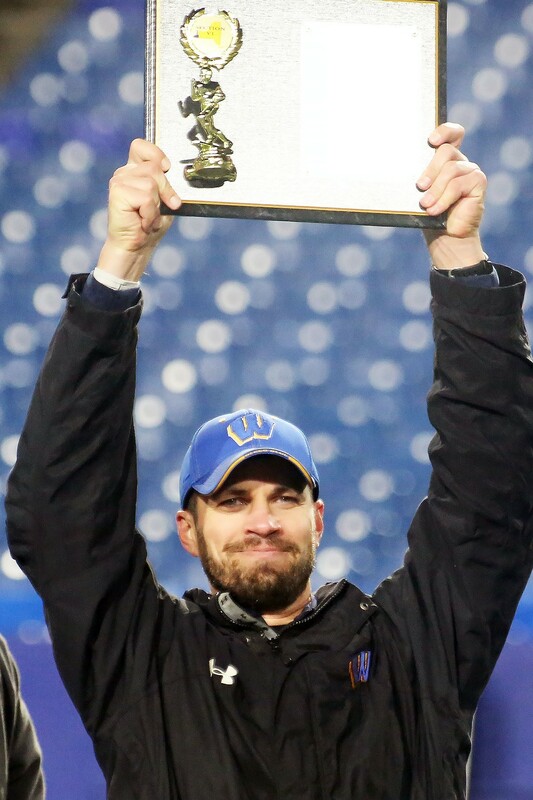 On Saturday, Nov. 4, West Seneca West took on South Park at New Era Field for the Section VI Class A Championship. With both teams coming into the contest at a perfect 9-0 on the season, it was clear that it would be tough game. Senior quarterback Matt Myers led the way for West Seneca West on offense, completing 15 of 23 passes for 150 yards and a touchdown and rushing for another 70 yards and a score. Nursing a narrow 20-18 lead until late in the fourth quarter, West Seneca West senior defensive back Josh Karmazyn returned an interception 75 yards to the house to extend his team’s lead. Defeating South Park 27-24, West Seneca West has advanced to 10-0 and will take on Wilson Magnet of Rochester, New York in the Far West Regional on Saturday, Nov. 11 at 7 p.m. 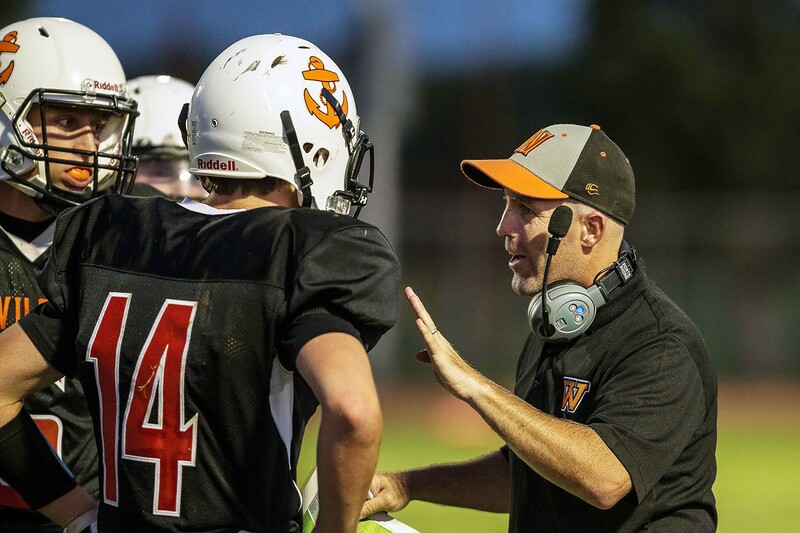 The Rochester Region Coach of the Week winner for Week 10 is Greg Mortier, head coach of the Wilson Magnet Wildcats. On Friday, Nov. 3, Wilson traveled to SUNY Brockport to face Irondequoit in the Section V Class A title game. Junior ball carrier Desi Floyd made quite an impact for the Wildcats on offense, producing 242 yards rushing for three touchdowns on just 18 touches. Despite the close score at the half, Wilson pulled away in the final quarter, scoring three touchdowns. Finishing the game 40-19 over Irondequoit, the Wildcats made history as they won the Section V title for the first time. With the victory, Wilson has advanced to 9-1 on the campaign and is scheduled to play West Seneca West on Saturday, Nov. 11. 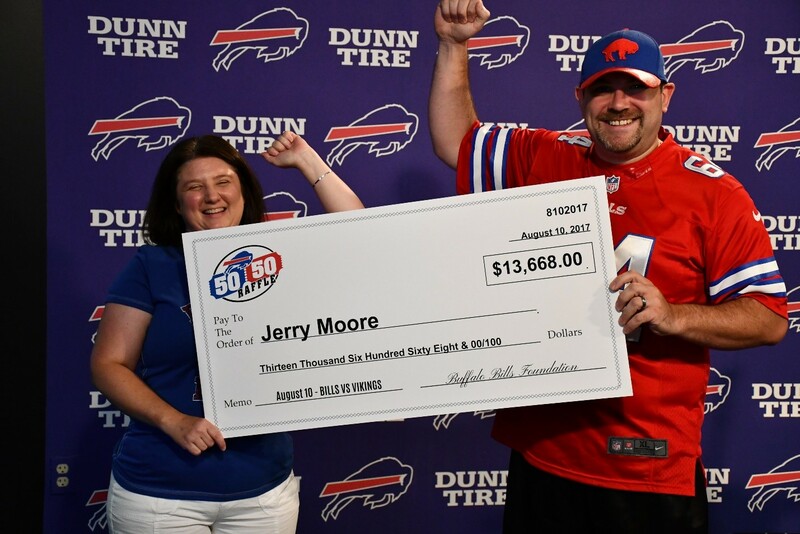 At Buffalo’s Week 8 matchup against the Oakland Raiders, the Bills recognized the Family Justice Center of Erie County as the One Buffalo Organization of the Game. In honor of the organization’s contributions and commitment to the community, Bills fullback Mike Tolbert proudly presented the group with a commemorative game ball. 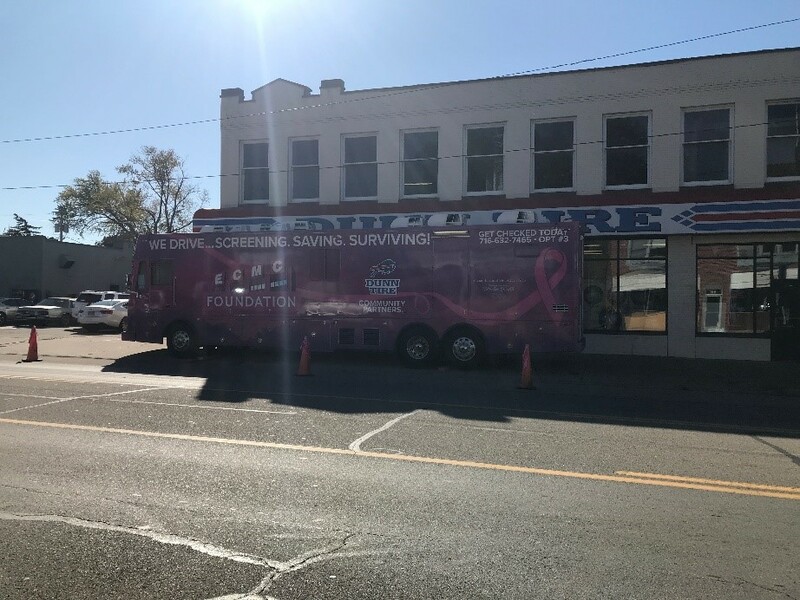 Additionally, the Family Justice Center of Erie County will receive a donation. 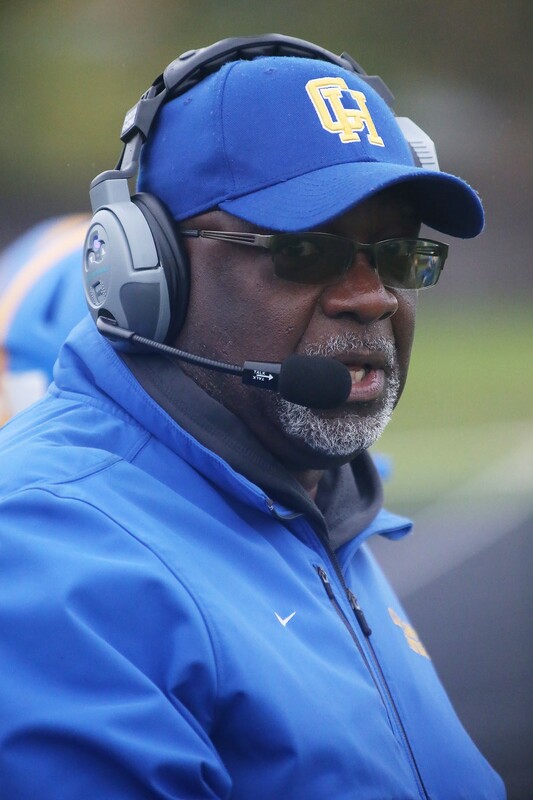 The Buffalo Region Coach of the Week winner for Week 9 of the 2017 season is Glen Graham, head coach of the Cleveland Hill Golden Eagles. Coming into the Class C semifinals, Cleveland Hill was sitting at 7-1 on the season. Taking on Silver Creek, the Golden Eagles put together several impressive drives. Down 7-0 in the second quarter, junior running back Aaron Wahler capped a Golden Eagles 10-play, 73-yard drive, with a one-yard touchdown. After a successful two-point conversion, Cleveland Hill was back on top. The next series proved equally as inspired for the Golden Eagles, as junior running back Javon Thomas went 68 yards to the house for another score. Closing out the matchup 24-7, Cleveland Hill has advanced to 8-1 on the campaign and will face Southwestern next in the Class C Championship round. 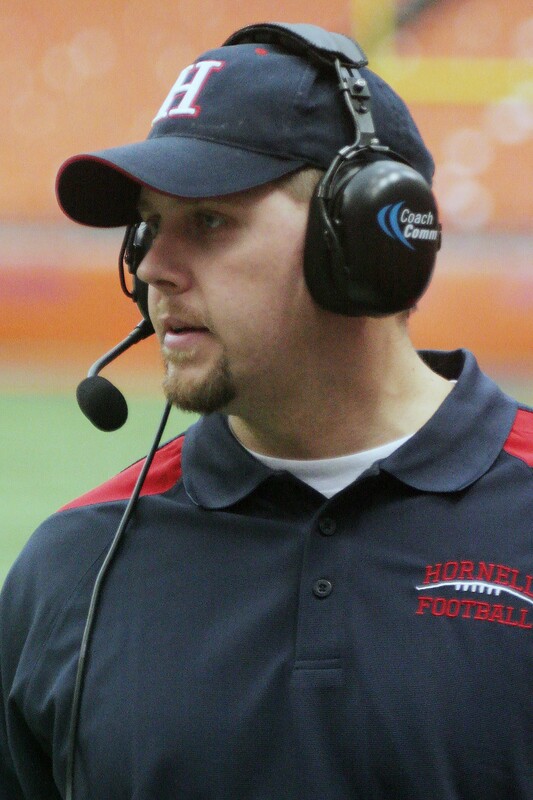 The Rochester Region Coach of the Week winner for Week 9 is Erik Werner, head coach of the Hornell Red Raiders. On Saturday, Oct. 28, Hornell traveled to play the Batavia Blue Devils in the Class B semifinals. Staring down a 7-0 deficit after the first quarter, the Red Raiders managed to even the score before halftime. The momentum quickly swung in Hornell’s favor at the start of the third quarter, as senior Spencer Weyand returned a kick for 68 yards and put the Red Raiders in position to score. Just three plays later, senior ball carrier Hunter Babcock found the end zone for a two-yard touchdown. Scoring 19 unanswered points, the Red Raiders defeated the Blue Devils 26-7. Advancing to a perfect 9-0, Hornell is scheduled to play Livonia on Saturday, Nov. 4. 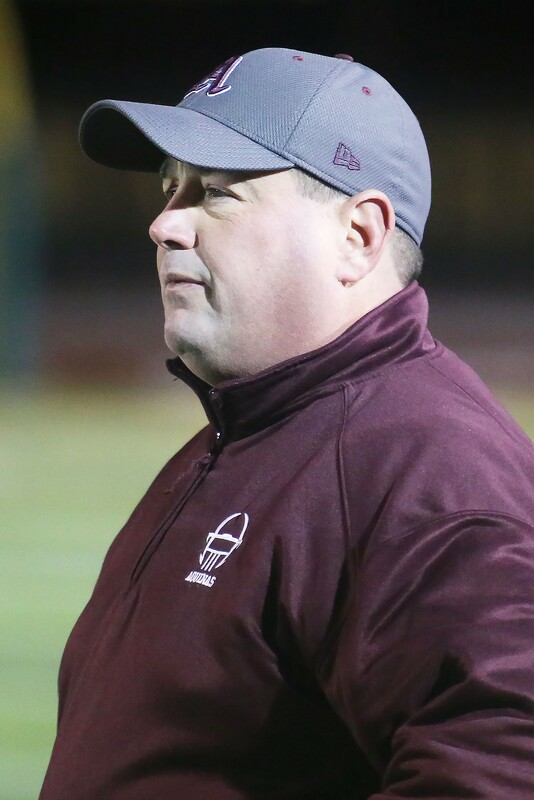 The Buffalo Region Coach of the Week winner for Week 7 of the 2017 season is Mike Fatta, head coach of the Cheektowaga Warriors. On Friday, Oct. 13, Cheektowaga took on rival Maryvale on the road for the team’s last regular season game. Coming into the contest, the Warriors were ranked 12th in New York State, behind 8th place and undefeated Maryvale. 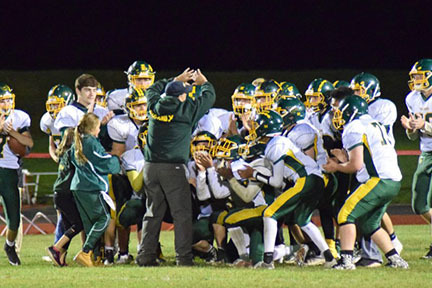 Led by junior quarterback KeShone Beal, who scored each of the team’s four touchdowns, the Warriors served the Flyers their only loss of the season. With the 28-21 victory, Cheektowaga won the Class B-1 Division title – the team’s seventh straight. Next up, the Warriors will take on Newfane. 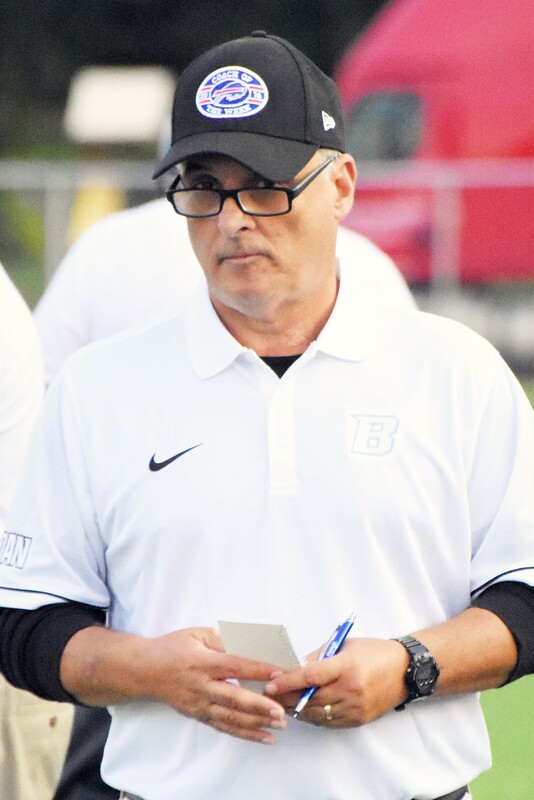 The Rochester Region Coach of the Week winner for Week 7 is Dennis Greco, head coach of the East Rochester-Gananda Bombers. 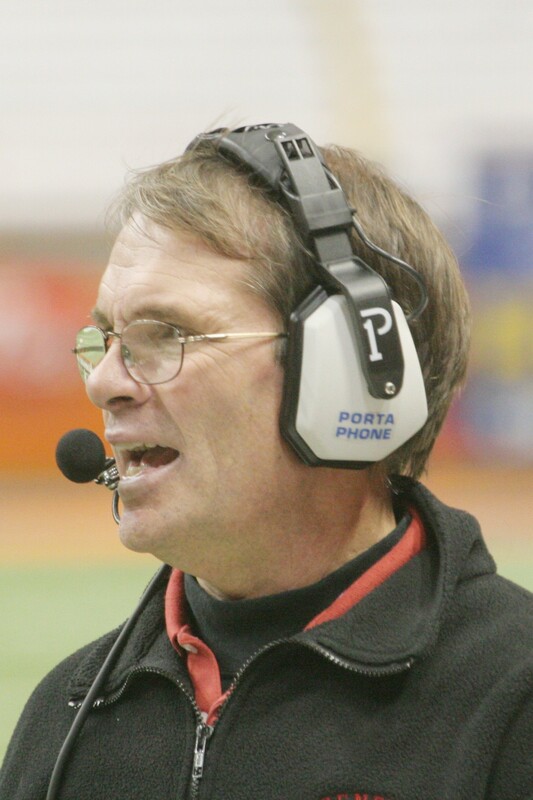 Greco, who has coached at East Rochester for 25 seasons, led the Bombers to a 34-14 win over Penn Yan. East Rochester-Gananda came out strong in the game’s first half, scoring 19 unanswered points. Running back Jayden Castrechini paved the way for the Bombers on the ground, putting up 332 yards rushing on 32 carries for two touchdowns. A threat on defense as well, Castrechini pulled in two interceptions. With the win, the Bombers solidified the Finger Lakes East Championship title and will enter the Class C playoffs as the top ranked seed. 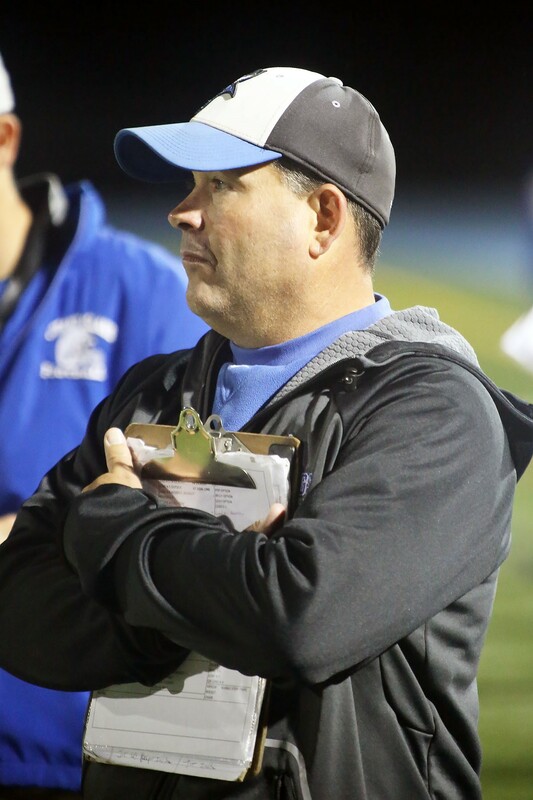 The Buffalo Region Coach of the Week winner for Week 5 of the 2017 season is Dean Santorio, head coach of the Grand Island Vikings. 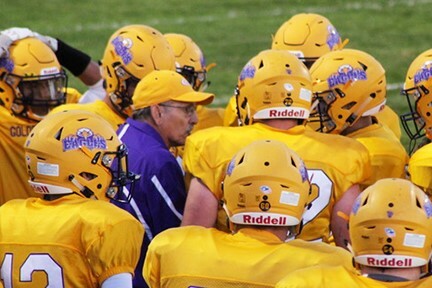 The longtime head coach, led the Vikings to a 33-7 victory over Starpoint on Friday, Sept. 29 at home. Coming into the contest, the Vikings were 3-1 and Starpoint was undefeated at 4-0. Considered an underdog in the matchup, Grand Island put on quite a performance. Propelling the Vikings’ offense was senior running back Thomas Cecere, who finished the game with 33 carries for 203 yards and three touchdowns. Cecere also made an impact on defense, returning an interception for 65 yards and a score. With the win, the Vikings have advanced to 4-1 on the season and will take on Sweet Home on the road on Friday, Oct. 6. 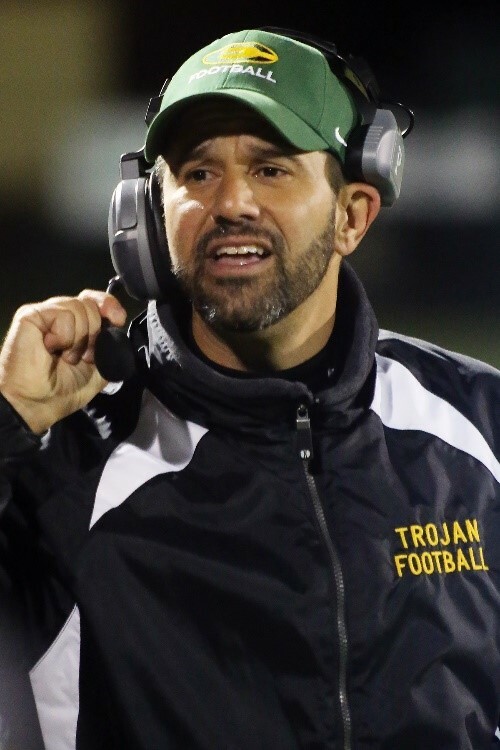 The Rochester Region Coach of the Week winner for Week 5 is Dan Fichter, head coach of the Irondequoit Eagles. The undefeated Eagles faced Brockport on the road on Friday, Sept. 29. Staring down a 7-0 deficit at halftime, the Eagles came out ready to score in the third quarter. Led by junior quarterback Freddie June, who put together an impressive 78-yard touchdown run, Irondequoit evened the score. The Eagles put the game away in the final quarter, when senior running back Will Porter found the end zone for a five-yard touchdown. Winning 14-7, the Eagles are now 5-0. Irondequoit will host Greece Athena on Friday, Oct. 7. The Buffalo Region Coach of the Week winner for Week 4 of the 2017 season is Bill Atlas, head coach of the Wilson Lakemen. 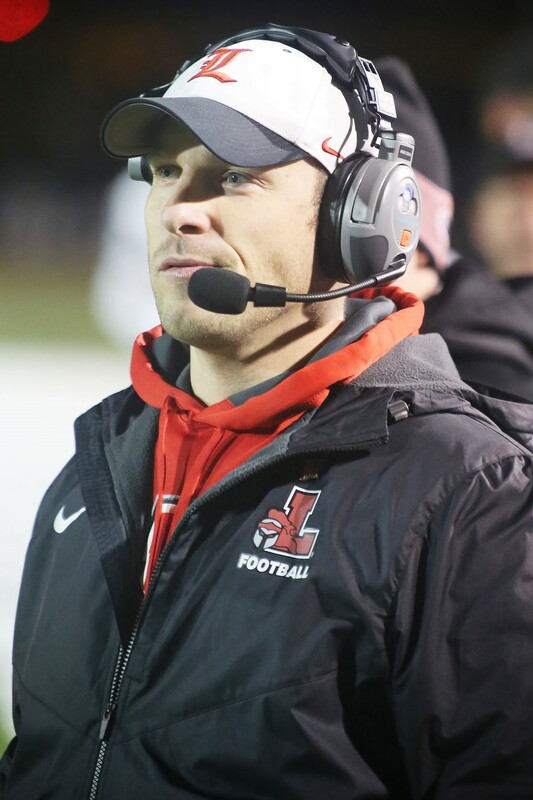 On Friday, Sept. 22, the Lakemen took on the Lewiston-Porter Lancers at home. Wilson headed into the locker room at halftime, nursing a 7-0 lead. However, the Lakemen got off to a quick start in the third quarter. Led by junior quarterback Steve Frerichs, Wilson scored twice to extend their lead to 20-0. Frerichs finished the game with a touchdown through the air and one on the ground. Senior Matt Kitcho also contributed to the score with a rushing touchdown. In the end, Wilson’s defense went on to shut out the Lancers 27-0. With the win, the Lakemen advanced to 2-2 on the campaign. Wilson will host Eden/North Collins on Friday, Sept. 29, for the team’s home opener. 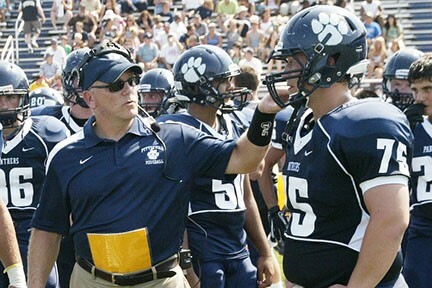 The Rochester Region Coach of the Week winner for Week 4 is Keith Molinich, head coach of the Pittsford Panthers. The Panthers took on the Victor Blue Devils on the road on Friday, Sept. 22. Coming into the contest, Victor was the No. 1 ranked AA team in Section 5. Up for the challenge, the Pittsford Panthers came out fast and physical on both offense and defense. Ending the half with a 9-0 lead, Pittsford extended the score to 16-0 in the fourth quarter. Junior quarterback Matt LaRocca and senior running back Ali Brooks led the way on offense, while senior Sky Crain, who recorded two sacks, put in work on defense. Finishing the game 16-6, the Panthers made a statement. Pittsford will face Hilton at home for their next matchup on Saturday, Sept. 30. 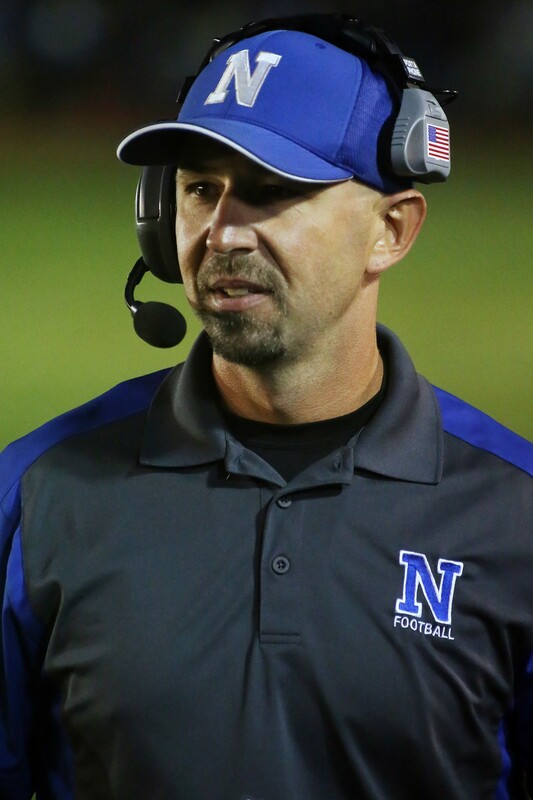 The Buffalo Region Coach of the Week winner for Week 2 of the 2017 season is Chuck Nagel, head coach of the Newfane Panthers. On Saturday, Sept. 9, Newfane hosted Lewiston Porter for a non-conference matchup. Playing before the largest crowd in Newfane history (1,700 fans), the Panthers quickly found themselves with a 21-12 lead over the Lancers. Scoring three more touchdowns in the third quarter, the Panthers went on to defeat the Lancers 48-18. Newfane junior running back Shayne Harrington helped pave the way for the Panthers. With the win, Newfane advanced to 1-1 on the season. 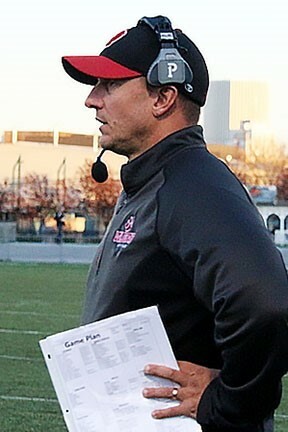 The Rochester Region Coach of the Week winner for Week 2 is Dave Whitcomb, head coach of the Fairport Red Raiders. After falling to Cicero-North during the team’s season opener, Fairport was determined to get their first win of the season. On Saturday, Sept. 9, Fairport took on Hilton on the road, defeating the Cadets 23-21. 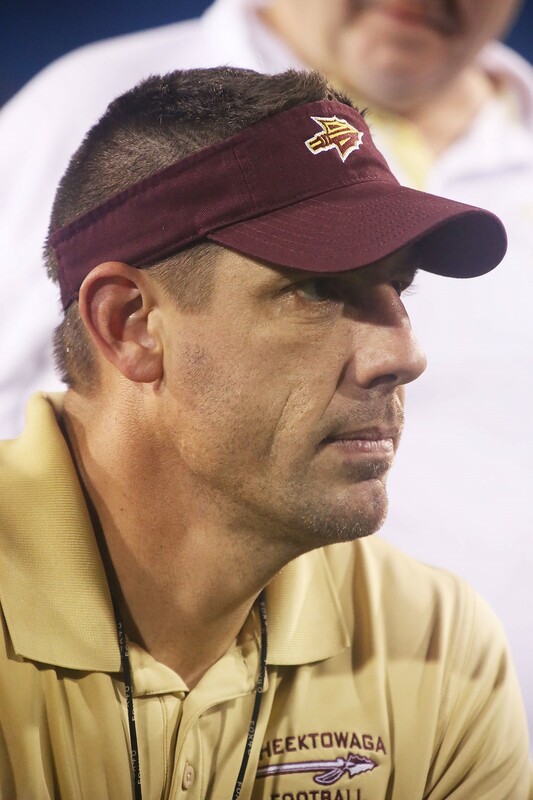 The close game was decided on a 40-yard field goal with less than a minute left in the fourth quarter. Kicking it through the uprights, junior K Amir Yamout solidified the win for the Red Raiders. With the victory, Fairport is now 1-1 on the season and is set to take on Penfield at home on Friday, Sept. 15. 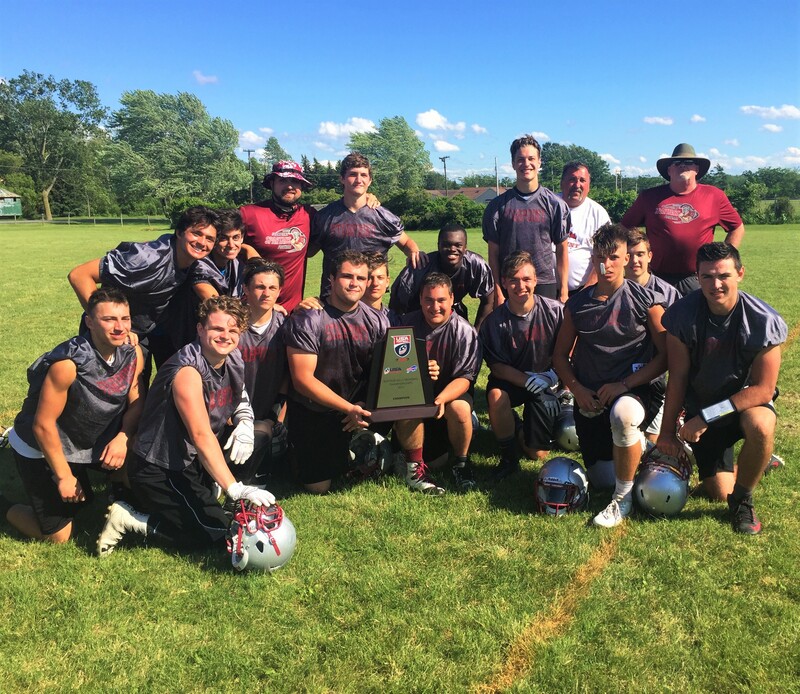 After an impressive showing in the recent USA Football Buffalo Regional 7-on-7 competition, the Starpoint High School football team has advanced to the National Championship Series. The event, set in Canton, Ohio, will take place on Friday, July 21 and continue through July 22. The series will feature 17 teams, battling for the number one spot. 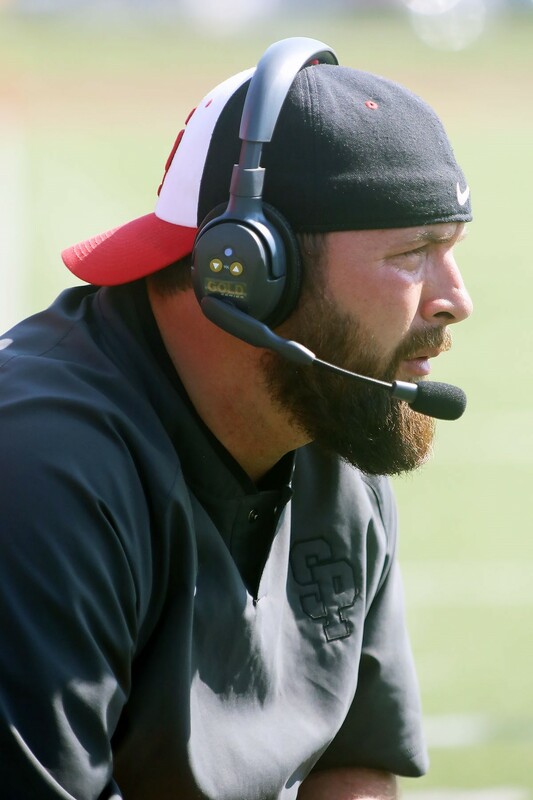 Led by head coach Al Cavagnaro, Starpoint will look to keep their win streak alive. The Lockport, New York based school, proved dominant during the regional round, going undefeated throughout the tournament. Hosted by the Town of Hamburg Recreation Department and Buffalo Niagara Sports Commission, 16 teams from Western New York took part in the one-day event. With a 22-12 win over Cheektowaga in the final, Starpoint advanced to 5-0 on the day and earned a spot in Canton. USA Footballs’ 7-on-7 competitions have proven a great way for coaches to continue to develop their athletes. With support from the Buffalo Bills and the local community, the Buffalo Regional competition proved both fun and educational. As Starpoint prepares for the next installment in the series, the Bills and entire Western New York region wish them luck! To watch the tournament live, click here. 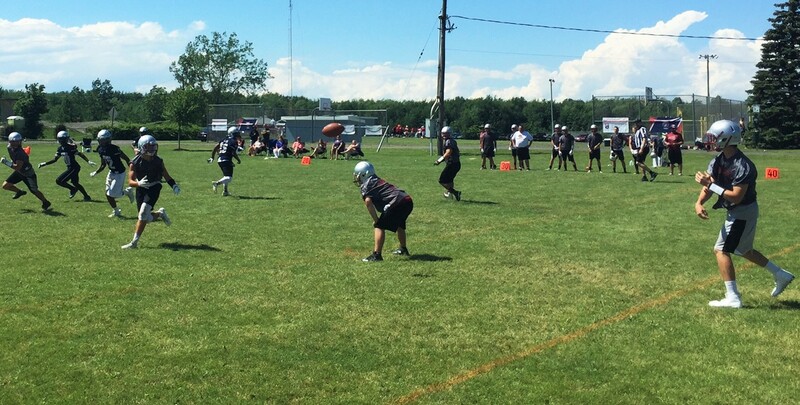 The Buffalo Bills are partnering with USA Football, The Buffalo Niagara Sports Commission and the Town of Hamburg Recreation Department to host the first ever Buffalo – USA Football 7on7 Regional Championships. On Friday, June 23rd the Buffalo Bills will host a reception and informational session at the ADPRO Sports Training Center for all participating coaches, with games played the following day (June 24th) at the Town of Hamburg Recreation fields. The tournament is open to high school JV and Varsity school teams and costs $200 per team. The winning Varsity team will receive a USA Football grant, t-shirts, trophy and FREE entry into the National Championship Series event in Canton, OH at the Pro Football Hall of Fame on July 21 – 22, 2017. USA Football 7on7 was built by high school coaches for high school teams. No all-star teams are allowed. This event sets the standard in high school team-based championships, professionally operated with certified high school officials, separate timers, scorekeepers and portable scoreboards on each field. Bills fans, several unique pieces of Bills memorabilia are up for bid on NFL Auction throughout Draft weekend. – Sammy Watkins signed 2014 draft mini helmet and much more! 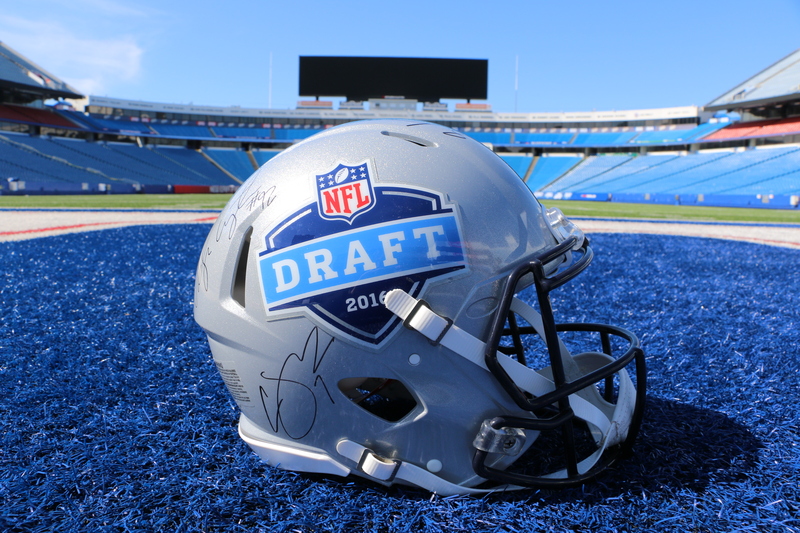 Don’t miss out on your chance to take home a part of Bills history! To bid now, click here. A portion of the proceeds will benefit the Buffalo Bills Foundation.